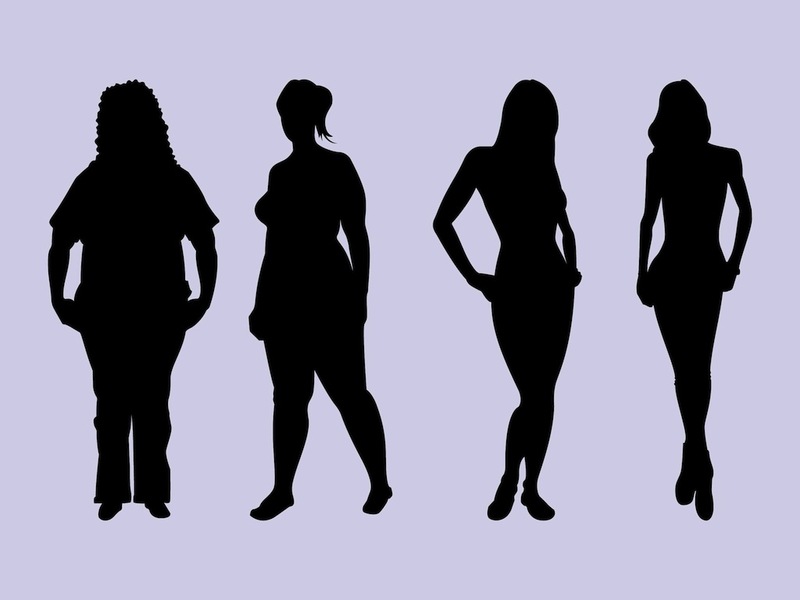 Vector image collection with silhouettes of women with different types of figures. Skinny, athletic, medium and heavyset girls with different clothes and hairstyles. Different vector illustrations for all your dieting, body types, figures, losing weight, keeping fit, nutrition, clothing design and eating disorders projects. Tags: Bodies, Body Types, Female, Health, Weight, Women.